Referral processes will need to be clarified and promoted to potential referrers. Referrals may come from primary care, as part of the chronic disease management plan. 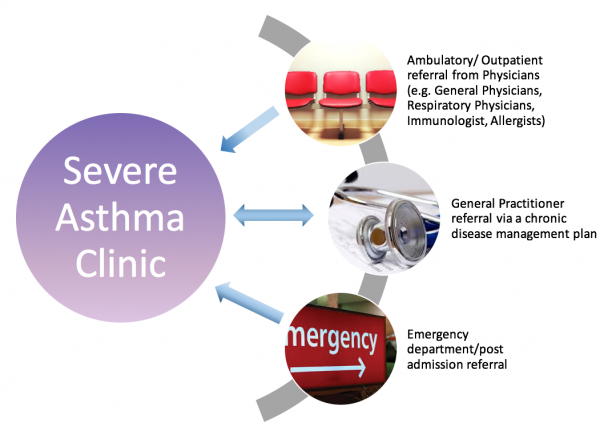 This referral pathway may provide an efficient way to promote integrated care between primary care and the severe asthma clinic. Referrals may come within institution via the outpatient service, such as part of a patients discharge plan from the hospital. They may also come via the emergency department, or from specialist care.